Chuang Chih-yuan (left) and Huang Yi-hua, both fourth-time Olympians. 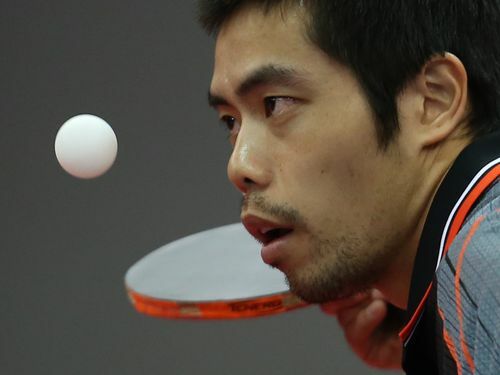 The table tennis team Taiwan is sending to the Rio Summer Games is a mixture of veterans who will be making their fourth Olympic appearance and newcomers to the Olympic experience. 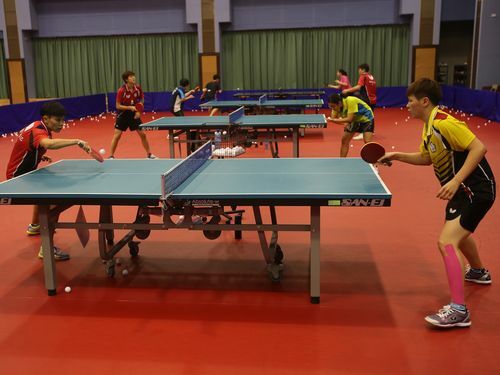 Taiwan is sending the maximum complement of three male and three female players to the Summer Games for the first time since the sport was included in the Olympic program in 1988. 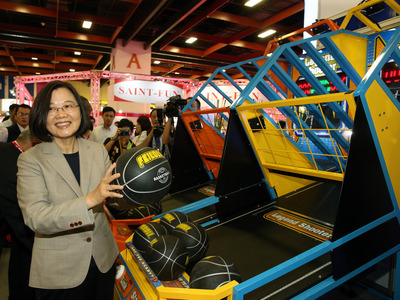 That means Taiwanese players can compete in both individual and team events. The team's elder statesman Chuang Chih-yuan (莊智淵), who lost a heartbreaking bronze medal match in the men's singles at the 2012 London Games, is seeded fifth in Rio. Now in his fourth Olympics, the 35-year-old said he is focusing on his first match. Another fourth-time Olympian, Huang Yi-hua (黃怡樺), who just turned 32 in July, said the first match is critical because it allows a player to adjust to the pressure of the competition. "I've only competed in the singles in the past. This is my first time in the team competition. The atmosphere is different," she said. 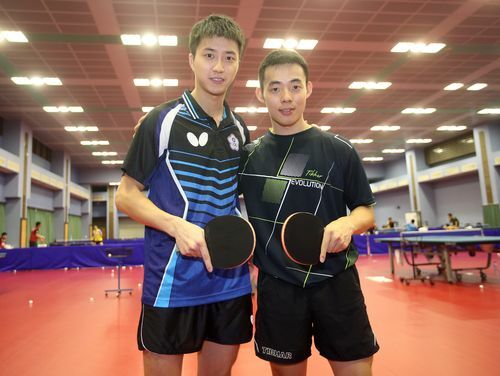 On the men's side, Chuang will be joined by 25-year-old Chen Chien-an (陳建安), with whom Chuang won Taiwan's first title at a World Table Tennis Championships, in the doubles in 2013, and by 27-year-old Chiang Hung-chieh (江宏傑). Chen Chien-an (right) and Chiang Hung-chieh. Huang, meanwhile, will see her 2012 teammate, 23-year-old Chen Szu-yu (陳思羽) and a fresh face to the Olympics, 24-year-old Cheng I-ching (鄭怡靜) on the women's side. Cheng will be seeded seventh in the women's singles in Rio. In a tournament in Japan in June, she defeated Olympic second seed, Feng Tianwei of Singapore, and the fourth seed, Kasumi Ishikawa of Japan, and she is hoping that form will carry over to Brazil. Cheng I-ching (front left) practices with Chen Szu-yu.